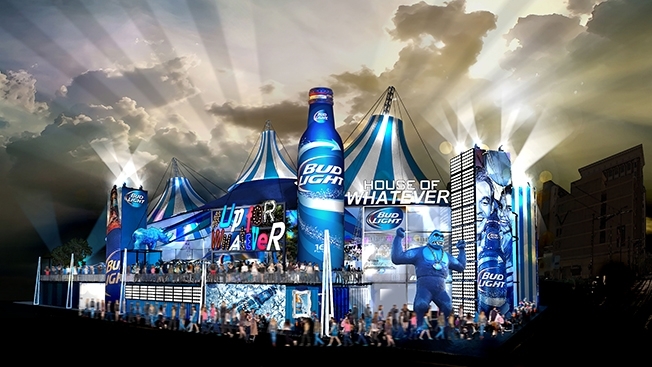 Bud Light is prominent with its engagement in Social Media with a live center “House of Whatever” going up in four of the major cities to send out real-time posts during the match. Anheuser-Busch hopes to recreate last year’s social triumph. To strengthen its presence during the Super Bowl, the Budweiser and Bud Light brands will be the Marquee brands for the company that will run 360 degree campaigns with the objective of selling more with three spots that will feature during the NBC broadcast on Sunday, Feb. 1. The Social media Engagement has gone a step further with Up For Whatever experiences now delivered in an app. According to a Press release, Anheuser-Busch is bringing consumers a new way to order and enjoy Bud Light with the brand new Bud Light Button. 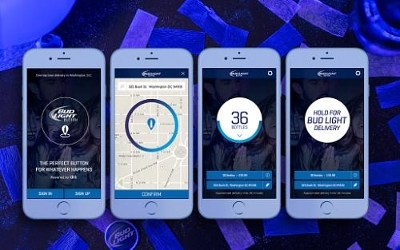 The Bud Light Button is a beer delivery app that allows users to order Bud Light with one easy tap of the finger. What separates the Bud Light Button from its competitors is the unique “Up for Whatever” experiences that could accompany special deliveries made through the app. The app launched initially in the Washington, D.C. area on January 15, 2015. Bud Light partnered with its digital innovation agency of record AKQA and platform provider Klink to create a unique service that will separate Bud Light from its competitors – by delivering beer and “Up for Whatever” Bud Light experiences. The Bud Light Button app is currently available on the Android platform with iOS coming soon, allowing easy and quick beer delivery. 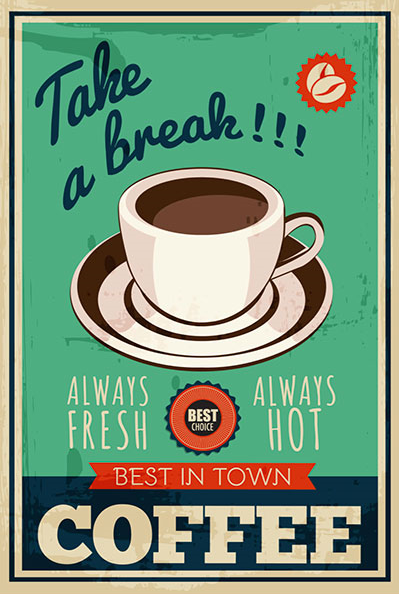 Posted in Advertising, Consumer Engagement, Social Media, Video Advertising. Tagged advertising, Anheuser-Busch, Bud Light, Bud Light Button, Campaign, Cross Channel Optimization, Digital, Facebook, Instagram, Social Media, Video Advertising, YouTube.